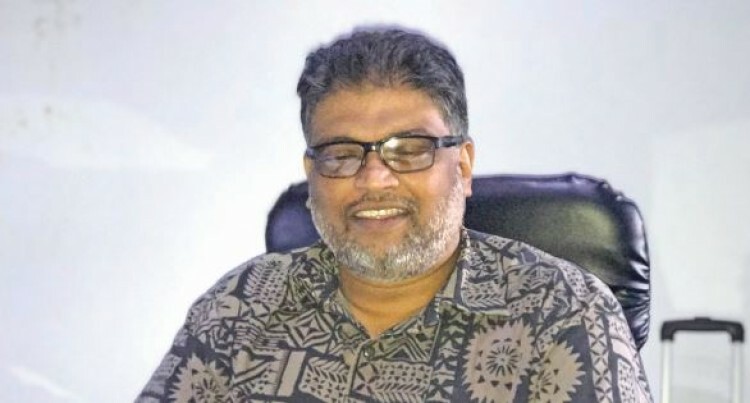 Jokhan Realtors (JR), one of Fiji’s oldest real estate companies, with the construction of a new office in Lautoka, is planning to expand its services in the Western Division. The company was recently entrusted exclusively with selling 160 prime lots in Pacific Harbour. But as the local property market becomes fiercely competitive with rising costs and demand, real estate companies such as JR scramble to find strategies to increase revenue. JR managing director, Reginald Jokhan, said the lots were affordable for the average person. “You cannot get a lot for $100,000 or less, with servcies provided, anywhere between Nausori and Lami,” he said. Mr Jokhan’s son, Reginald Junior, is the company’s director, and is seen by his father as someone who can take it to greater heights. Mr Jokhan started operations from his home in 2001 with five clients. “I can cofidently say that today we are the largest property managers in Fiji,” he said. Mr Jokhan in an interview admitted that the arrival of local franchises for overseas real estate brands and overseas agents was a challenge. Currently headquartered in Toorak, Suva, JR employs agents spread out in Nadi, Lautoka, Labasa, Taveuni and Savusavu. They offer a range of services in rentals, sales and property management. “Based on the principles of honesty, reliability and efficient service, we manage properties people have invested millions of dollars into,” Mr Jokhan said. artered in Toorak, Suva, JR employs agents spread out in Nadi, Lautoka, Labasa, Taveuni and Savusavu. What is your advice to young and upcoming business people? Young people in business must always have a goal and they should always be ready to face challenges on the way to achieving that goal. One must also be able to accept when they are wrong and learn from it and that’s how a goal can be achieved. Tell me a little bit about your company’s history and what inspired you to start it? We started nearly 20 years ago. Something that my family was always involved in was building. My father was a builder; my family – the Jokhan family – in Fiji owned numerous properties. So I always had an interest in propertie; my father-in-law was also a builder. These are all people that have passed on but were people who knew the ins and outs in the building industry. You could say that I am now continuing a legacy. As a kid, I used to help my dad mix cement at constructions sites. These people were very influential in my life. What were some of the major challenges you faced along the way? We face challenges daily. The country has changed from the time we first ventured into real estate. There were only a few agents then and the housing prices were very affordable. A major challenge was when the prices hiked. That was also when foreign real estate agents came into the picture, which made it very hard for a person straight out of school and holding a steady job to purchase a home. In the early days when we started, the prices were right and you could buy a piece of land or property up in Laucala Beach if you held a steady job. The developers at that time were selling at a very affordable price. The foreign real estate agents that came in at that time have basically brought has made it that if a person gets a $200,000 salary then only can he or she buy a decent home. When we started our operations, this was not the case. So how does one answer to people who want properties but cannot afford it. Another challenge was the high number of unethical deals done in real estate, which the Government is seriously looking at. What would you count as your major achievments? I started this company alone all those years ago. Today, from a single person, we now have a whole team in Suva and agents in Ba, Rakiraki, Lautoka and the north. How many properties we look after is confidential but I can confidently say that Jokhan Realtors is the largest property managers in Fiji. Based on the principles of honesty, reliability and efficient service, we manage properties people have invested millions of dollars into. We strive for transparency in the deal we make and do not have any hidden fees or charges. This builds confidence in our customers. We have a separate team that does property management – and a separate team that does sales and a separate team that does rentals. Becoming the largest manager of properties in Fiji after our humble beginnings is one of greatest achievements as a company. As an employer, what are some traits you look for while hiring? I like to train people from scratch. When we hire people, we like to take in people that have no knowledge in real estate. Then we train them from the beginning and set a solid foundation for them. In my career, I have trained so many people, and many have gone to become property managers for large companies. I like to be a part of the team I’m managing. Communication is also very important. At the very start, I tell my team what is required of them and they receive feedback from me throughout. But it all comes down to training. You see, if I train them the right way it becomes very easy to manage. One of the key things I hammer into my team and it’s something I believe is foundational, is honesty. If you have to lie to sell a property, don’t sell it. Where are you currently positioned in the journey you envision for JR? I think every day is learning day. Every day we encounter hurdles and we try to acquire new properties to sell. I have a thirst to learn more and more every day. For the future of the company, it falls on the shoulders of the other director (Mr Jokhan’s son Reginald Junior). I am confident he will take the company to the next level. I can see in the ideas that he has that our company is set for the future. I’m sure he will improve the company tenfold because the foundation has already been laid. When I started I had nothing and know one to guide me.